A combination of thai massage and hot oil massage. This massage helps the mind and muscles relax by mixing both firm and relaxing techniques. A head, neck.shoulder massage is a wonderful way to ease tension and increase circulation that in turn reduces stress. Deep tissue massage is interactive manipulation of the body using oil, passive stretching and gentle pressure along energy lines, these movements help relive muscular,tension and balances the body's energy. Thai style massage uses both Palme and thumbs to concentrate on the pressure points of your whole body. The massage includes some stretching to release tight muscles while improving blood circulation increasing an overall feeling of well being. The staff were very kind and friendly and the place is nice and clean. 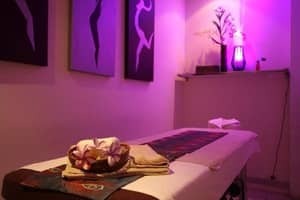 I had a 90 minute relaxation massage and it was perfect: truly relaxing and refreshing. I would definitely recommend this massage service. First time my boyfriend and I visit to Melbourne we found a Very professional massage , it's quite and clean place to be, very relaxing..every time we in Melbourne we keep going back there .. Thanks for all lovely stuff..
Was recommended to go here bya friend. I thoroughly enjoyed my experience!! The deep tissue massage was fantastic, it relieved some really bad tension in my neck and shoulders and completely got rid of my headache. Overall it was a very relaxing and calming environment and the staff were lovely. 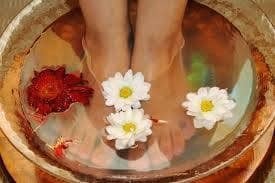 I will definitely be back and can't wait to try the foot spa treatment. One of the best massage I have had and I am a regular visit for relaxing and enjoy with smile friendly staff and my favorite is deep tissue massage great price and good package! !